After a bit of a hiatus, I’m back in the swing of things with my cooking group’s recipe swap. Thanks to Sarah at Taste of Home Cooking, the group has grown and there are lots of new participants! 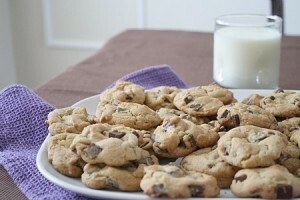 My blogger’s choice selection this month was Nicole from Cookies on Friday. And yeah, the title is a dead giveaway of what she apparently seems to love most. 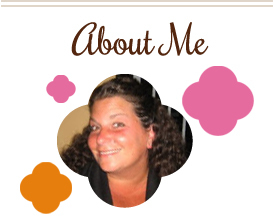 Nicole has well over 100 cookie recipes in her blog! Thanks for a great recipe, Nicole! Sift together flour, baking soda and salt in a small bowl. Set aside. In a large mixer bowl, cream together butter and sugars until well blended. Beat in vanilla, egg and egg yolk until light and creamy. Stir in flour mixture until just blended. Stir chocolate chunks in with a spatula. Drop dough by heaping tablespoons onto sheets, about 3 inches apart. Bake 15-17 minutes, or until edges are light brown. Cool on baking sheets before transferring to wire racks. This entry was posted in chocolate, cookies, dessert. Bookmark the permalink.